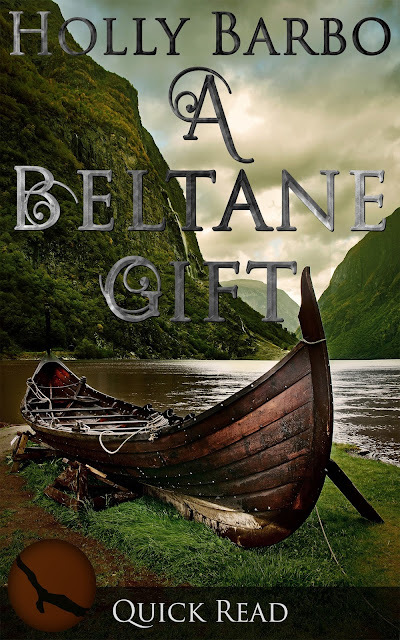 Summer in Scotland, and Mari is working on an archeological dig of a Viking burial ship during Beltane, a time of the year when the veil shrouding the spirit world thins. What could possibly go wrong? The day was high summer with an onshore breeze ruffling the waters of Loch Sunart. Leda watched as several strong men hauled a small boat out of the water. Muscles strained as the ship resisted the pull of the ropes as if it didn’t want to leave its buoyant home. She knew it was time, and turned her head to scan the progress on the moor. A boat-sized hole had been dug to rest the vessel in. Teams of men from the village maneuvered the dragon boat onto skids and fought the graceful craft up to where the low moors began. With every available hand on the ropes, the ship was lowered into the ground until only the short, carved dragon on the prow looked over the grassland to the shore. Once the small ship was nestled into the ground, more of their friends came, placing Leda’s husband’s body on a prepared berth. Items meaningful to his life were set around him in easy reach, should he need them in the afterlife. This burial was a supreme honor but still the tears trickled down her lined face and dropped onto the funerary objects. As the gathered crowd paid their last respects, several foxes were heard yipping in the low hills. As one, everyone turned in the direction of the sound. There, on a cairn farther up the slope, was a family of the rust-colored creatures raising their voices to the wind. Leda smiled and made a small bow to the animals. Laughter was heard around the boat as comments were made about the tribute. In this lighter atmosphere, everyone pitched in and began to fill the craft with dirt and stones. Holly’s world is shaped by her love of family, the beauty of the natural world and an irrepressible creative drive. She has always been curious and sees life through questions. 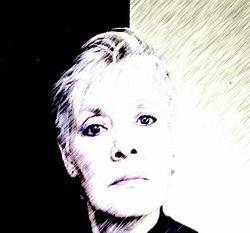 These four characteristics color her writing voice and her stories frequently evolve from her asking “What if…. ?” Her tales tend to have non-urban settings with nature contributing to the plot, building discordant themes inside a seemingly peaceful refrain. This entry was posted on Thursday, April 7th, 2016 at 00:10	and is filed under Blog Tours, Contemporary, Historical. You can follow any responses to this entry through the RSS 2.0 feed. You can leave a response, or trackback from your own site.